Back in 1894, Congress honored “the social and economic achievements of the American worker” by passing legislation declaring the first Monday in September “Labor Day.” This was an improvement on the first celebration, which was held on Tuesday, September 5, 1882. That was dumb. What I don’t understand is that Labor Day is considered the END of summer. Really?!? Yes, the pool in my community will close that weekend (like I’d be caught dead wearing a Speedo at my age), and children will return to their studies, but it also means that we residents of Gayberry can start to reclaim our beaches and roads—at least during the week. Plus, the meters will be down soon and we can all get back to normal. Whatever that means. CAMP Rehoboth showcases works of art from Washington DC to NYC in an exhibition called Scratched: Everyone Has an Itch from September 2-30. This unique annual event features the works of artists depicting the bear/cub community. CAMP Rehoboth’s Health Services Dirctor Sal Seeley curated this exhibit of bear-friendly art. In conjunction with the Rehoboth Beach Bears Beach Weekend, CAMP Rehoboth will host an artists’ reception on September 22 from 4:30-6:30 p.m.
Based in Baltimore, artist Michael Nelson told us, “I was inspired and influenced by the upcoming bear event and a friend’s embrace of that community. I find it interesting as people with different desires—how those desires sometimes become people’s whole identity. I wanted to create something about that all-consuming desire to belong and worship”. Clear Space Theatre Company (20 Baltimore Avenue; 302-227-2270)wraps up their summer repertory season of Footloose, Mary Poppins, and The Rocky Horror Show on September 1, and the final performance of the Delaware Comedy Theatre’s post-show, The Late-R Night Show, is August 25. Their annual gala—Bow Tie and Barefoot—takes place on September 15. Opening September 21: Rabbit Hole. Freeman Stage (31750 Lake View Drive, Selbyville; 800-840-9227) is an open-air venue offering a fantastic mix of shows: August 24: Footloose (Clear Space); August 25: Locals Under the Lights; August 30: As You Like It; August 31: An Evening with Michael Bolton; September 1: Cascading Carlos; September 2: Season Finale Fireworks with the Mid-Atlantic Symphony; September 15: Arts & Jazz Festival; September 16: Gipsy Kings. They also have several FREE family shows on Saturday mornings and week nights. Possum Point Players (441 Old Laurel Road in Georgetown; 302-856-4560) present the Thornton Wilder classic Our Town—directed by Russell Stiles—September 7-16. Premier Centre for the Arts at Milton Theater (110 Union St., Milton; 302-684-3038) “keeps Milton weird”! August 24: Branson on the Road; August 25: Men in Motion (18+ only); August 31: The Best of Broadway with Eddie Bruce; September 1: 20 Years of the Tonight Show with Johnny Carson; September 7: As You Like It (FREE); September 8: Paul Cullen & Erin Dickens—2nd Time Around; September 13: Janglebachs; September 14: Liz Russo Comedy Night; September 15: NPR Political Editor Domenico Montanaro; September 20: Howard the Duck; September 21: Psychic Deanna Fitzpatrick; September 22: The Ultimate Robin Williams Experience. Rehoboth Concert Band (703-598-9867) is looking for new members—especially clarinet and percussion. They rehearse Thursday evenings (7 p.m.) at the Rehoboth Senior Center. Rehoboth Beach Bandstand (Rehoboth Avenue & the Atlantic Ocean; 302-644-2288) celebrates their 56th season—August 24: Larger Than Life—the Ultimate Boyband Tribute; August 25: Peter Johann Band; August 26: Flatland Drive; August 31: The Fabulous Hubcaps; September 1: Glass Onion; and closes their season September 2: DSU Approaching Storm Marching Band. All concerts begin at 8 p.m.
Rehoboth Beach Film Society (17701 Dartmouth Drive, Lewes; 302-313-4032) screens the best new Independent films at their Cinema Art Theatre. Check their website for updates and show times. Second Street Players (2 South Walnut Street, Milford; 302-422-0220/ 800-838-3006) open their fall season September 7 with Night of the Living Dead, directed by Ben Lonski. Southern Delaware Chorale (P.O. Box 444; 302-260-7022) performs a broad variety of liturgical and secular choral music from many traditions and genres under the direction of Dr. Colin Armstrong, and begins rehearsing for their presentation of Handel’s Messiah in September. Interested singers may contact them. Stango Park Concerts (Kings Highway, next to the Lewes Library) offers their final FREE concert of the season Tuesday, August 28: U.S. Navy Band Sea Chanters (at Cape Henlopen High School). 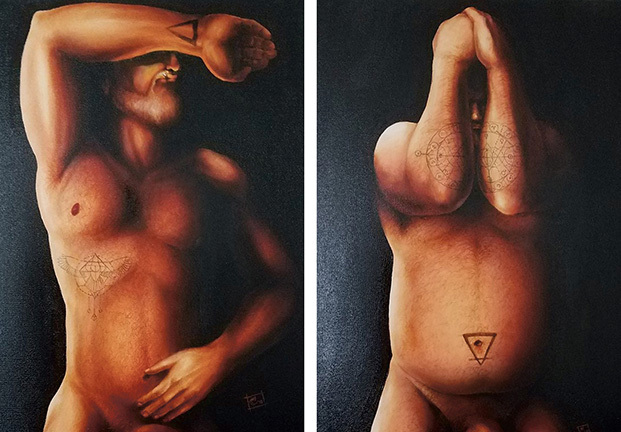 Abraxas Studio of Art (515 Federal Street, Lewes; 302-645-9119) features the oil portraits and landscape paintings of Abraxas and his own style of illuminated reality. Anna Hazzard Museum (17 Christian Street; 302-226-1119) is a captivating look at the early history of Rehoboth Beach as a religious retreat. The museum is housed in one of the original “tent” houses from Rehoboth’s 1870s camp-meeting era and is named for former owner and civic leader, Anna Hazzard. 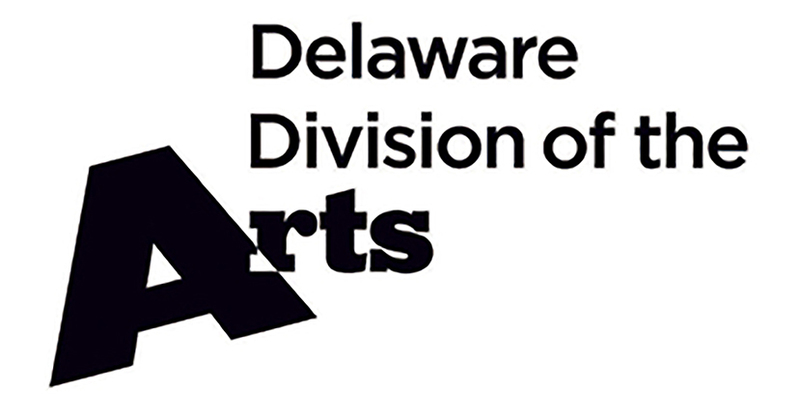 CAMP Rehoboth Gallery (37 Baltimore Avenue; 302-227-5620) features Delaware Division of the Arts 2018 Award Winners at CAMP Rehoboth, (through August 26). On display September 2-25, with a reception Saturday, September 22 (4:30-6:30 p.m.) is Scratched—presented in conjunction with the Rehoboth Beach Bears Weekend and featuring works by area artists depicting the bear/cub community. Cape Artists Gallery (110 W. 3rd St., Lewes; 302-644-7733) represents two dozen artists, with much of their work focusing on beach scenes. 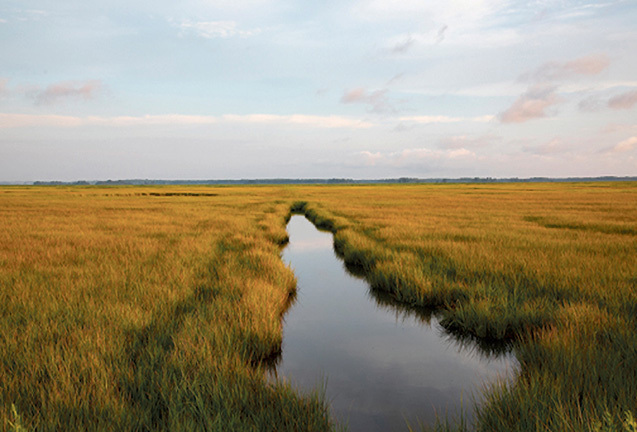 Delaware Art Gallery (239 Rehoboth Avenue; 302-853-5099) offers new and classic Delaware photographs by Kevin Fleming. Gallery 50 Contemporary Art & Frame Shop (50 A-B Wilmington Avenue; 302- 227-2050). Works by Gary Fisher are featured through August 30; new work by Jason Wright (August 31-September 13); Sallie Otenasek opens her show September 28. Heidi Lowe Gallery (328 Rehoboth Avenue; 302-227-9203) has beautiful and unique hand-made pieces (including wedding rings!) and offers classes in jewelry making. Painting With a Twist (17723 Coastal Highway; 302-313-5769) offers painting classes and “pARTies” for all occasions. Visit their website for details. Peninsula Gallery (520 E. Savannah Road, Lewes; 302-645-0551) presents the Coastal Camera Club Juried Exhibition—through August 26. 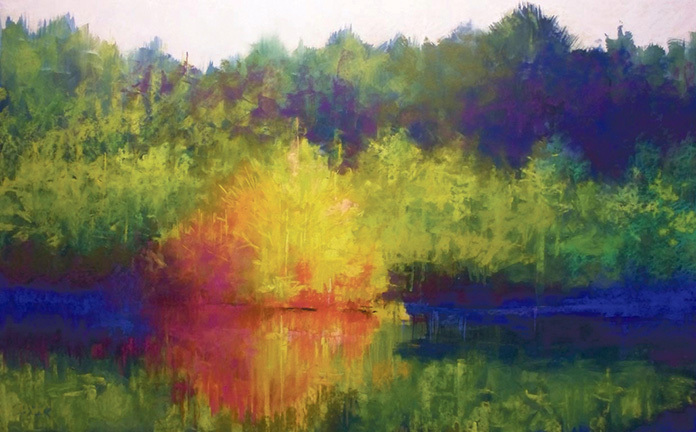 Pastel artist Nick Serratore, inspired by the images of Delaware State Parks official photographer, April Allyson Abel, opens An Hour in the Quiet—with an opening reception Saturday, September 1. Rehoboth Art League (12 Dodds Lane, Henlopen Acres; 302-227-8408) has a fantastic schedule of classes—pottery to pen and ink technique to jewelry making… something for everyone. Current exhibitions: Preservation Matters—over 700 pieces in RAL’s Permanent Collection, and the conservation efforts to maintain the collection—in the Marcia and Henry DeWitt Gallery (through September 6). Check their website for a complete schedule of exhibits, salons, and gallery talks. Rehoboth Beach Museum (511 Rehoboth Avenue at the Canal; 302-227-7310) has nearly completed renovations to their second floor and revamping of the permanent collection exhibits, and reopens soon! In the meantime, they still have some great walking tours of the area and fascinating lectures. Stuart Kingston (One Grenoble Place; 302-227-2524) is an auction house and retail store offering fine art and home furnishings. The Studio on 24 (20231 John J. Williams Highway, Lewes; 302-644-4424) is open during the summer by appointment only with owner and artisan Deb Appleby’s custom made glassware. Tideline Gallery (146 Rehoboth Avenue; 302-227-4444) offers unique gifts, jewelry, pottery, and art glass. Doug is the Artistic and Musical Director for CAMP Rehoboth Chorus, Director of Music Ministries at Epworth UMC, and co-founder and Artistic Director emeritus of the Clear Space Theater Company. Email Doug Yetter to add events to the calendar. August 24, 2018 - CAMP Cheers! August 24, 2018 - CAMP Rehoboth Chorus: Just Can’t Stop the Beat!